Each assorted pack includes assortment of eight popular colors. 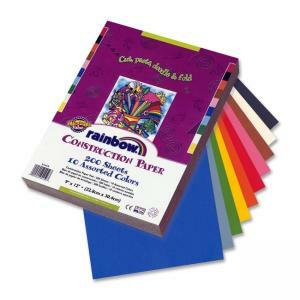 Lightweight construction paper is economical and suitable for all kinds of arts and crafts projects. Package includes green, red, black, blue, yellow, pink, white, brown and orange.